We send our loving thoughts and support to the family and friends of Koichi HAMANAKA, a great musician who has just left us. His funeral is below: Tue. 12 nov. / 11h-12h funérailles place / touzenji-temple (Tokyo) Buffet Jap...an has helped his funeral in both ceremonies. We pray Mr. Hamanaka's soul may rest in peace. Koichi HAMANAKA graduated top on the list from the Tokyo National University of Fine Arts and Music. While he was studying there, he won the first prize at the 28th Competition. Joined the NHK Symphony right after graduation, and took part in their first European Tour. He also formed the “Aurous Quintet” with Shinya Koide and Seizo Maruyama. After being strongly moved by the performance of Jacques Lancelot, he decided to leave the NHK Symphony to study with him in France. During his 9 years stay in France, he was a member in the Orchestra of Rouen National Opera. After returning to Japan, he went back to the NHK Symphony as the principal clarinetist and held that position until his retirement. 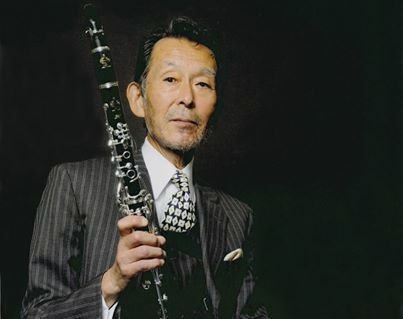 Honorary President of Japan Clarinet Society. The world has lost a great musician. Peter Simenauer, former Associate Principal Clarinetist of the New York Philharmonic for 38 years passed away on September 14th in Naples, Florida. A child prodigy Peter excelled at many instruments including the violin, viola and saxophone. Born in Berlin Germany, Peter grew up in China and then went on to join the Israel Philharmonic for nine years. As a young artist he won the Mozarteum Competition and concertized worldwide before joining the New York Philharmonic in 1960. 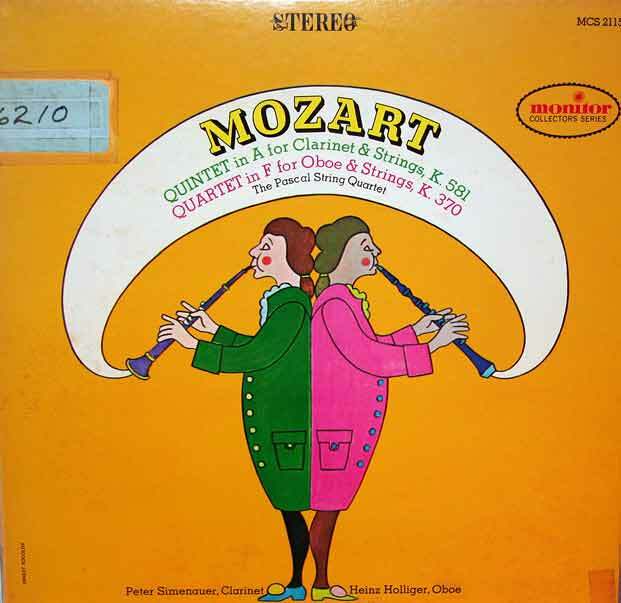 His recording of the Mozart Clarinet Quintet K581 with the Pascal String Quartet has continued to sell for over 50 years. His loving family survives him. A brilliant clarinetist, Wes's career began in the Montreal Expo '67 Band, followed by principal clarinet positions in the National Ballet, Hamilton Philharmonic, Indianapolis Symphony and for 23 seasons, the Vancouver Symphony Orchestra. A loving husband and father,Wes is remembered for his integrity, warmth, kindness, and quick wit. 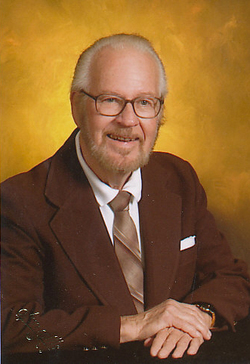 John Wesley Foster, known to family and friends as Wes, had a long and distinguished career as one of North America’s foremost woodwind players. He was an instructor at the School of Music at UBC for over two decades, and from 1981 to 2004 was principal clarinetist of the Vancouver Symphony Orchestra. Born in Vancouver, Wes grew up in Burnaby, BC. He began playing the clarinet in the school band and was a member of the New Westminster Band and Vancouver Youth Symphony Orchestra. He studied with three former VSO clarinetists: Henry Ohlemann, Dominic Lastoria and Ronald DeKant. Later at UBC’s School of Music, he studied with Elliot Weisgarber. He went on to study privately with James Morton of the National Ballet and National Arts Centre Orchestras, and with Robert Marcellus, former principal clarinetist of the Cleveland Orchestra. 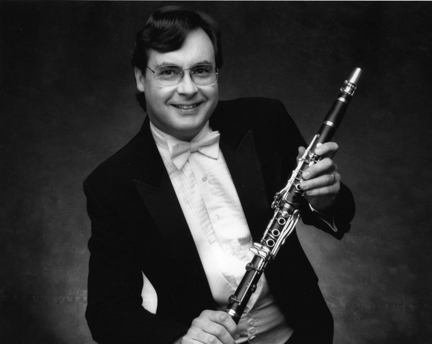 Following his studies, Wes held principal clarinet positions with the Indianapolis Symphony, the Hamilton Philharmonic, and the National Ballet Orchestra. He returned home to Vancouver in 1981 to become the Principal Clarinet of the Vancouver Symphony Orchestra. He performed with the Vetta String Quartet, Masterpiece Chamber Music, and in many other chamber music concerts in the Greater Vancouver area. He was known for his musical refinement and artistry, and was always trying to learn more about the clarinet and to improve the function and sound of his own instrument. As well as being a brilliant performer, Wes was also an outstanding teacher. After holding teaching positions at Northwestern and McMaster Universities, on his return to Vancouver he joined the faculty at the UBC School of Music. He loved teaching and sharing music with his students, and enjoyed seeing them grow and flourish as musicians. Every year Wes made Christmas gift bags filled with treats and CDs for his students, a lovely example of his lighthearted approach to life. He loved to make people laugh and could find humour in so many situations, often turning a negative situation positive. He was a man of great kindness and intelligence, who inspired others with his performances and teaching. Civil it is tribute today, Wednesday 26 June, at 1.45 p.m. the complex funerary Thau (near Sète, Hérault), followed by cremation. 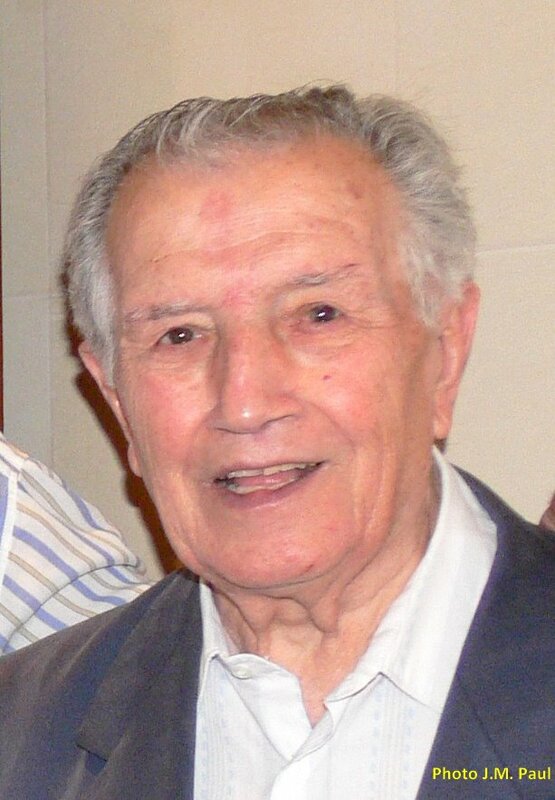 After having taught at the Conservatory of Montpellier, Joseph Marchi was Director of the Conservatory and the harmony of Sète in the 1960s, then Professor of clarinet at the conservatories of Perpignan and Marseille. He had made of the acoustic research on clarinet (clarinet Selmer10S-Marchi cf in 1975). Photo taken in 2008 at Vandoren, during the presentation of the book of Yves Didier and Michel Lethiec by the authors. Keith Wilson (center), displays the Sanford Medal he was awarded on Nov. 17. He is flanked by School of Music Dean Robert Blocker (left) and composer Mitch Leigh, a former student of Wilson's whose works include "Man of La Mancha." 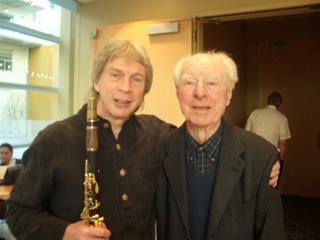 3 June is a sad day to note the passing of one of the great Clarinet icons of the last century as noted below with the honors bestowed on him for his influence on so many clarinetists and musicians. He will be missed. Clarinetist Keith L. Wilson, professor emeritus of music and one of the major figures in the development of music at the University over the past half-century, was honored by The Yale Concert Band and the Yale School of Music during the band's Nov. 17 concert in Woolsey Hall. In a ceremony before the second portion of the musical program, Music School Dean Robert Blocker awarded Wilson the Samuel Simons Sanford Medal, the school's highest honor. In his presentation, Blocker described Wilson as "one of Yale's most outstanding professors" and "the embodiment of all the Yale School of Music stands for and hopes to be." Wilson was also given the Gustav Stoeckel Award, which is named after the first music professor at Yale and honors faculty who have contributed to the life of the School of Music. Wilson is only the second recipient of the award, which was presented by one of his former students, Vincent Oneppo '73 M.M., who is now director of the Concert and Press Office at the School of Music. Two of Wilson's other former students -- clarinetist Richard Stoltzman '67 M.M. and composer Mitch Leigh '52 M.M. -- joined Blocker and Oneppo on stage for the awards presentation. The two offered warm reflections on their years as students, and later as friends and colleagues, of Wilson. Stoltzman, who has been hailed as one of the finest clarinetists in the world, said "it was through Mr. Wilson that I discovered the greatest mission of a musician: to communicate music with peers to the audience. He gave me that wisdom and that love." The alumnus also praised Wilson's artistry as a clarinetist, recalling that, when he first witnessed Wilson perform the Brahms Clarinet Quintet, "I heard the clarinet as I had never heard it before, but as I always dreamed it could be -- not just as an instrument but as an expression of the deepest emotions of the music." During the ceremony, the Yale Concert Band under Thomas C. Duffy performed "The Wilson Wail," which Leigh composed while a Yale student. Following the number, Leigh -- whose works include "Man of La Mancha" -- described the influence that Wilson and his wife, Rachel, had on his life and how important the professor's mentorship was to him. Then, turning to the members of the Yale Concert Band, Leigh said, "I give you this blessing for the next millennium: I wish for you a Keith Wilson." As part of the tribute to the professor emeritus, the Yale Concert Band also performed Wilson's transcription of Paul Hindemith's "Symphonic Metamorphoses on Themes of Carl Maria von Weber, " which he produced at the request of the composer. Duffy's "Butterflies and Bees" and Joseph Turrin's "Chronicles," featuring School of Music professor Allan Dean on trumpet, rounded out the musical program. Wilson taught at Yale for over 40 years before retiring in 1987. At the time of his appointment in 1946, he was the only wind professor at the School of Music. Within two years, the wind department had gained equal ranking with other areas of instruction at the school. He was also director of the Yale Bands, a position he held until 1972. Wilson later became associate dean of the School of Music and director of the Norfolk Summer School of Music. A world-class clarinetist and teacher of the instrument, Wilson performed often in recital, chamber music, and concertos. He achieved national prominence both as a conductor and as a clarinetist, and received numerous honors at Yale and throughout the country. After his official retirement, he continued to coach chamber ensembles, serve on committees, and advise students. 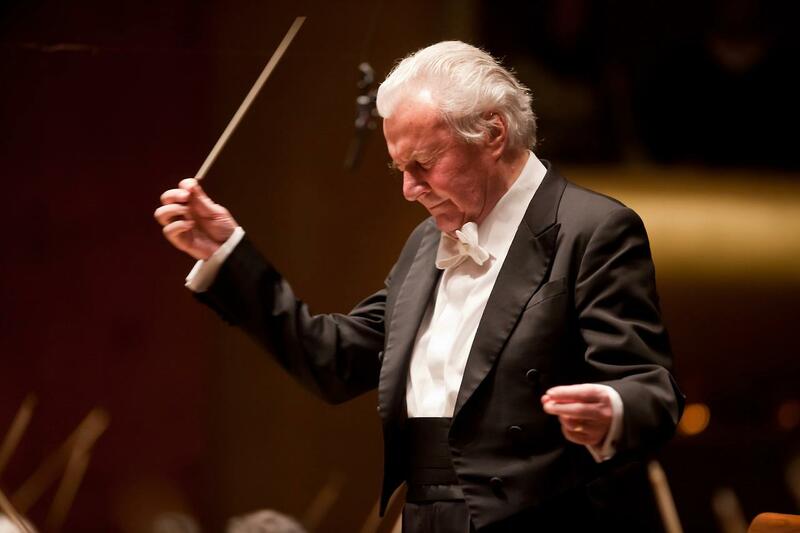 Sir Colin Davis, the magisterial conductor whose career with the London Symphony Orchestra spanned over half a century and included 11 years as its principal conductor, died on Sunday. The London Symphony Orchestra said in a statement that Sir Colin, who served as the orchestra’s president since 2007, died of an unnamed illness on Sunday evening. He was 85. Colin Rex Davis was born in Surrey, England, on Sept. 25, 1927. Though he had always dreamed of being a conductor, his rise in the profession was not swift. His skill on the piano was wanting, as was, he admitted, his desire to play it. He was appointed as assistant conductor of the BBC Scottish Symphony in 1957 after three attempts for the job. By his own admission, he was hot-headed and short-tempered in his younger years, and his relationships with musicians and musical organizations early in his career were often tempestuous. He made his debut with the London Symphony in 1959, but in 1965, the London Symphony turned him down as chief conductor. Over the following decades, first as chief conductor of the BBC Symphony, then as music director for the Royal Opera House, his career advanced steadily. In 1992, he became principal conductor of the Royal Philharmonic, and in 1995 he took the post denied him 30 years before: music director of the London Symphony. He held that position until 2006, when Valery Gergiev took his place. His mark on the institution was indelible. He championed Sibelius and Berlioz, whose major works he conducted in full with the London Symphony in 1999 and 2000. He also revived Mozart as a symphonic mainstay after a long absence. In 1997, he took the London Symphony to New York to conduct its first residency at Lincoln Center. He was principal guest conductor of the New York Philharmonic from 1998 to 2003. He received two Grammy awards for his recording of Berlioz’s Les Troyens with the London Symphony Orchestra in 2002, and another in 2006 for Verdi’s Falstaff. Though age had slowed his pace in recent years, at the podium he radiated a vigor and passion for his craft to the end. There was no immediate word on survivors. Sir Colin’s wife, Shamsi, died in 2010 after nearly half a century of marriage. The couple had five children, and he had two children with his first wife, April Cantelo, the BBC reported. Toward the end of his life, Sir Colin had become something of a sage in the world of classical music, wont to puff on his pipe and knit in quiet introspection. It is with great sorrow to post about the passing of a great Clarinetist, Teacher, and of special interest my very first teacher and inspiration having literally started from scratch at age 17 and tutored effectively to become a Clarinet performance major within two years continuing undergraduate major study at the State University at Fredonia. It takes a genius to develop a student so quickly covering all the comprehensive details of performance development including technical, musical, and necessary skills to achieve these results and that has changed my life forever thanks to him. I feel that there is a special place for him now. 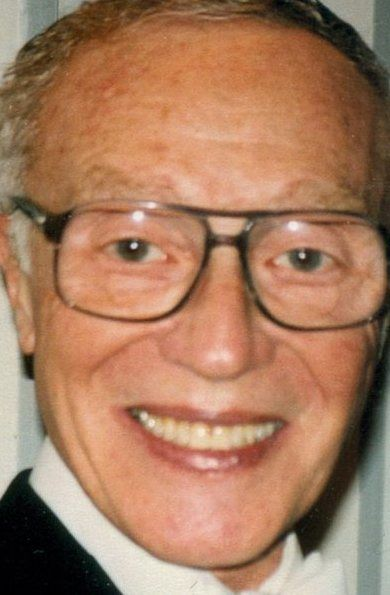 Allen Sigel, former principal clarinetist with the Buffalo Philharmonic Orchestra and professor emeritus at the University at Buffalo, died Friday at his Williamsville home. He was 88. Mr. Sigel was born in Chicago and grew up in Ottumwa, Iowa, where his father ran a dry goods store. His first clarinet, acquired when he was 11, came from an uncle’s pawnshop, and he became dedicated to his music, practicing up to eight hours daily and leading his mother to say, “Allen will be a famous clarinetist one day.” He received a scholarship to study clarinet at the University of Iowa with Hymie Voxman and earned a master’s degree from Rochester’s Eastman School of Music in 1947. 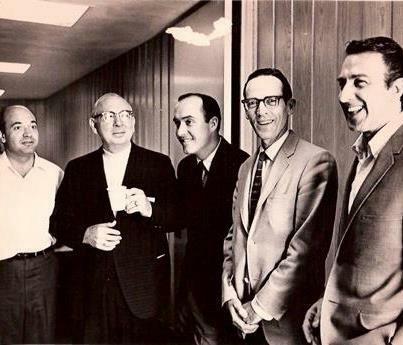 Mr. Sigel became principal clarinetist with the BPO in 1948 and remained with the orchestra until 1960, when he accepted a full-time position at the University of Buffalo, where he had been instructing part-time. While teaching, he remained active as a musician and composer, performing on an occasional basis with the BPO until he was in his 70s. A career highlight was playing the “Clarinet Concerto” by Aaron Copland under the direction of the composer when Copland was the Slee professor of music at UB. Mr. Sigel also taught hundreds of private music students in the area and wrote seven books, including “The Twentieth Century Clarinetist,” considered a classic resource for aspiring musicians. 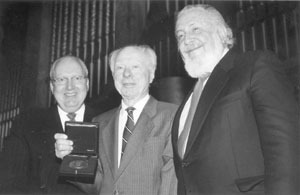 He served as music director of the Jewish Center of Buffalo and was a founding member of the Clarinetist Society of America. Mr. Sigel and his wife, Phyllis, were well-traveled, and at one time they lived in China, where he also taught. The couple wintered in the Sarasota, Fla., area. In addition to his wife, Mr. Sigel is survived by a son, Jeffrey; two daughters, Elaine Becker and Linda; and a sister, Norma Schweig. Born in 1918 in Brooklyn, New York, Sidney Forrest has spent the bulk of his career in Washington, DC and Baltimore. As a teenager in Brooklyn, he sought out Simeon Bellison (principal clarinet of the New York Philharmonic) for private lessons and enjoyed being a member of Bellison's Clarinet Ensemble. He continued his studies at the Juilliard School and maintained his close relationship with his teacher until Bellison's death in 1953. After two years at Juilliard, he went to the recently established school of music at the University of Miami on full scholarship, where he earned his undergraduate degree.. He was principal clarinet there, under the esteemed Russian conductor Arnold Volpe. He received a master's degree from Columbia University. Other influential teachers and mentors were Alexander Williams (first clarinet of the NBC Orchestra under Toscanini) and Otto Conrad (former principal clarinet of the Berlin Philharmonic). In 1941, Sidney Forrest came to Washington, DC as a member of the United States Marine Band and Orchestra, frequently appearing as soloist. In 1946 he became principal clarinet of the National and joined the faculty of the Peabody Conservatory (Johns Hopkins University) in Baltimore. He taught at Peabody for 40 years and also served as adjunct professor at the Catholic University of America and American University. Summers 1959- 2005, he taught at the Interlochen Center for the Arts, teaching hundreds of students and coaching the clarinet section of the World Youth Symphony. He was "Master Teacher" at the Levine School of Music in Washington, D.C. and continued to teach privately at his home in Kensington, Maryland. He has also given master classes throughout the country. Van Cliburn's talent alone might have earned him a place among the 20th-century giants of his instrument, alongside classical pianists like Arthur Rubinstein and Vladimir Horowitz. But after a magical Moscow spring in 1958, Mr. Cliburn's fame eclipsed even those musical contemporaries, rivaling that of another young superstar of his time, Elvis Presley. Mr. Cliburn was "The Texan Who Conquered Russia," according to a Time magazine cover. At the height of the Cold War, the lanky 23-year-old from East Texas traveled to Moscow and won the first Tchaikovsky International Competition, an event created to showcase Soviet cultural superiority. Mr. Cliburn's unlikely triumph was thus said to bring a thaw in tensions between the rival superpowers and created a mythic parable about the power of art to unite mankind. The man at the heart of that parable died Wednesday morning at his mansion near Fort Worth. 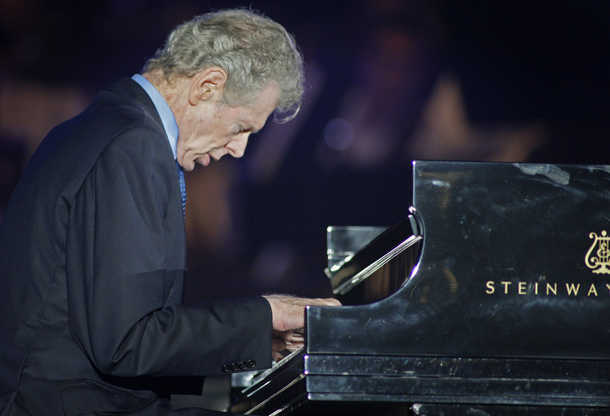 It had been announced Aug. 27 that Mr. Cliburn, who turned 78 in July, was suffering from advanced bone cancer. "In 1958, he proved to the world that music is a transcendental force that goes beyond political boundaries and cultural boundaries and unifies mankind. He was a very concrete example of that," said Veda Kaplinsky, head of the piano department at the Juilliard School in New York. "Beyond that, his legacy is that of a person who personified grace, humility, talent, kindness and sincerity. He was a human being first and foremost. He never lost that." While the world mourns a cultural icon, many in North Texas remember a friend -- a shy man of uncommon graciousness. A friend to American presidents, foreign leaders and Hollywood celebrities, Mr. Cliburn also became a fixture in the life of Fort Worth. In the 1980s, he moved from a New York City apartment to a mansion in the exclusive Fort Worth suburb of Westover Hills. In the decades since, he was often seen at local cultural events or handing out medals to winners of the prestigious Fort Worth piano competition that bears his name. A famous night owl, Mr. Cliburn was well-known for his off-hours visits to the Ol' South Pancake House on University Drive, always dressed in his trademark dark suits. A man of deep Christian faith, he was a member at Broadway Baptist Church, sneaking into a back pew just before services began each Sunday he was in town. "One of the most profound truths that has characterized my life is St. Paul's advice to 'pray without ceasing,'" Mr. Cliburn told Brent Beasley, his pastor at Broadway Baptist, shortly before his death. "That's how I have lived my life." Beasley and others who spent time with Mr. Cliburn after his recent diagnosis described a man bent on reminiscing from the moment he woke updaily, but a person unafraid of the end. "He actually made the comment, 'I'm more afraid of living than dying,'" Beasley said. For all his local familiarity, Mr. Cliburn largely belonged to the world. Through much of the 1960s and 1970s, he was among the most sought-after soloists and recording artists of his generation. But he would always be, first and foremost, the humble young man of the Tchaikovsky triumph, which came when the cloud of nuclear confrontation hovered over the world. From childhood, the musician born in Shreveport and raised in the East Texas town of Kilgore seemed to channel the Russian soul, an affinity that was quickly obvious in that first trip to Russia. Max Frankel, then a Moscow correspondent for The New York Times, began to hear of Russian audiences at the competition that were completely enthralled by the one known as "Cleeburn." "Especially the young girls were going absolutely crazy about Van's performances, heaping flowers on him," Frankel, who eventually became the Times' executive editor, said in 2008. "And there were long lines to get in [when he played], even longer than usual." Frankel sought out another American in Moscow, Mark Schubart, dean of the Juilliard School. "Is this kid really so phenomenal, or is this just another case of Frank Sinatra bobby-soxers?" Frankel asked him. "No, he's a hell of a musician," Schubart said. "He's well in line to win this thing if the Russians ever let him." After a series of historic performances before rapturous throngs -- playing works by the Russians' best-loved composers, Rachmaninoff and Tchaikovsky -- jurors voted to award first prize to Mr. Cliburn, first finding it necessary to obtain the blessing of Soviet Premier Nikita Khrushchev. Later, Mr. Cliburn and Khrushchev, himself a classical music aficionado, became good friends. The triumph was front-page news around the globe and earned Mr. Cliburn a ticker-tape parade in New York City on his return to the United States, the only classical musician ever afforded that honor. He eventually performed for every American president from Harry S. Truman on. He began every performance by playing The Star-Spangled Banner. In 2003, Mr. Cliburn was awarded the Presidential Medal of Freedom by President George W. Bush. In 2004, Russian President Vladimir Putin presented Mr. Cliburn with the Order of Friendship. In another White House ceremony in 2011, President Barack Obama presented Mr. Cliburn the National Medal of the Arts. He understood the role music could play in the lives of diverse people," said Robert Blocker, dean of the Yale School of Music. "He just saw music as a vehicle of hope. He lived that out, whether it was with [President] Carter or Khrushchev. I see him as being one of the world's great cultural leaders. The message he carried to presidents and to children was that music is important." "Old when I was born"
Mr. Cliburn's path seemed fated, a destiny that he recognized early. "I was old when I was born," he said in May. "I told my parents when I was 5, 'I am going to be a concert pianist. They thought I was crazy. I played in public when I was 4, then made my debut with the Houston Symphony when I was 12, and my debut with the New York Philharmonic, I had just turned 20. I had so much ambition, but first of all I loved the music." He was born in Shreveport on July 12, 1934, to Harvey Lavan Cliburn, an oil company executive, and Rildia Bee O'Bryan Cliburn, herself a classical pianist with an impeccable pedigree. The daughter of a lawyer and former mayor of the small Texas town of McGregor, Mr. Cliburn's mother had gone away to study piano at the Cincinnati Conservatory, and then to New York. Her teacher there was Arthur Friedheim, who had been a pupil of piano legend Franz Liszt. Rildia Bee Cliburn's piano career would consist mostly of teaching, and her most prominent pupil was her talented and precocious son. In the recent interview, Mr. Cliburn remembered his mother as a very demanding instructor. "I was about 9 or 10 and she was taking me through the Transcendental Etudes of Liszt," Mr. Cliburn said. "She said, 'Oh, no, dear.' I said, 'I can't play this because I don't have perfect hands like you.'" His voice became stern as he remembered his mother's reply. "No one has perfect hands!" she said. "Everyone has problems. Your responsibility is to solve your problems." Mr. Cliburn graduated from Kilgore High School at age 16, and from Juilliard three years later. Jerome Lowenthal, another American pianist and a classmate at Juilliard, remembered that Mr. Cliburn was famously innocent, even then. "We had a class together in Renaissance music, and one of the things we would do is sing," Lowenthal recalled in 2008. "Van was special because he would always put a lot of emotion into it. I can see it to this day with his eyebrows going up. We were all too self-conscious to do that. "I remember once meeting him on the street in New York. He was coming back from a Billy Graham evening, and he was very excited, and he talked with great enthusiasm and emotion," Lowenthal said. "He was just different than other people I knew. And he was a wonderful artist. He was the Van you know today, only much less sophisticated." Well before his victory in Moscow, Mr. Cliburn seemed headed toward classical music stardom. In 1954, he won the prestigious Leventritt Competition in New York City, which led to performances with major orchestras across the United States and a debut with the New York Philharmonic at Carnegie Hall on Nov. 14, 1954. His playing also attracted the attention of Sol Hurok, a leading music impresario of the time, who became Mr. Cliburn's longtime manager. The San Francisco Symphony is deeply saddened to announce the passing of Principal Oboist William Bennett. Mr. Bennett had been hospitalized since Saturday, February 23, after suffering a brain hemorrhage during his performance of the Strauss Oboe Concerto with the San Francisco Symphony at Davies Symphony Hall. All of us here in the San Francisco Symphony family grieve this enormous loss with the entire Bay Area community. We also extend our love and support to Bill’s family. It is with great sadness that The Philadelphia Orchestra mourns the death of Wolfgang Sawallisch, conductor laureate of the Orchestra and its music director from 1993 to 2003. Mr. Sawallisch passed away on Friday, February 22, 2013, at his home in Grassau, upper Bavaria, Germany. He was 89 years old. In a special tribute and dedication to him, the Orchestra performed Wagner’s Siegfried Idyll to open its Sunday afternoon concert. The Orchestra’s sixth music director, Mr. Sawallisch made his debut as guest conductor in 1966 and nearly 40 years later made his final appearance leading The Philadelphia Orchestra on March 1, 2005, in a program of Grieg’s Piano Concerto with guest pianist Yundi Li and Schubert’s Symphony in C major (“Great”). During his decade as music director he fostered the rich tradition of the ensemble’s legendary Philadelphia Sound while strengthening and securing its artistic future, hiring 40 musicians into the Orchestra. Mr. Sawallisch became conductor laureate of The Philadelphia Orchestra in September 2003, directly following the conclusion of his tenure as music director. Mr. Sawallisch demonstrated an unwavering dedication to his craft, as evidenced by his actions in the winter of 1994 when blizzard conditions doomed a scheduled performance of excerpts from Wagner’s Tannhäuser and Die Walküre at the Academy of Music. With most musicians unable to leave their homes due to the storm, rather than cancel the performance, Sawallisch instead enlisted the help of the three soloists staying in nearby hotels and a small, hastily recruited chorus, and flung open the Academy’s doors to anyone willing to brave the elements. Over 600 Philadelphians witnessed their maestro’s operatic foray on the piano that evening—an unforgettable performance. In another example of dedication to his Orchestra, Mr. Sawallisch was intent on joining his musicians as soon as possible after the tragedy of 9/11. Understanding the power of music to help heal, he caught the first flight to Philadelphia from Germany, leading the Orchestra less than a week later in a televised tribute concert at the Mann Center for the Performing Arts, followed by a three-week tour of the United States. Gene Saucier, 83, retired Professor of Woodwinds and Area Head Woodwind Division of the University of Mississippi Music Department, passed away Monday, January 28, 2013 at his home in Oxford, MS. Funeral services will be Thursday, January 31 2013 at 11:00 A.M. in the Chapel of Waller Funeral Home with Father Joe Dyer officiating. Burial will follow in Oxford Memorial Cemetery. Visitation will be Wednesday, January 30, 2013 from 4:00 to 6:00 P.M. at the funeral home. Originally from Shreveport, LA, Gene A. Saucier, brought his family to Oxford in 1960 to assume a teaching position at the University of MS. During his 33 year tenure, he attained the position of Professor of Woodwinds and developed an award-winning saxophone ensemble, woodwind choir, flute ensemble, and was subsequently named area head of the Wind/Percussion/String division at Ole Miss. Professor Saucier earned his Bachelor and Master of Music degrees in clarinet performance at the Cincinnati Conservatory of Music where he met his wife-to-be, Joan Smeltzer. During more than three decades of performance activity, he made guest appearances with bands and orchestras on both clarinet and saxophone. In 1957 he was presented with a John Philip Sousa Memorial Award for performance. It was an honor Gene treasured all his life. In 1981 Prof. Saucier’s textbook, Woodwinds: Fundamental Performance Techniques, was published by Schirmer Books in New York and Collier Macmillan Publishers of London and has since received national recognition. Prof. Saucier was indebted to the University of MS for awarding him two sabbatical leaves to pursue research and composition for the textbook. The expanded second edition of Woodwinds is published by Opus 2 Publishing Co., owned by Mr. Saucier. Professor Saucier’s chamber works, including Three Pieces for Clarinet, Fantasy for Clarinet and Piano, Suite for Clarinet and Sonata for Clarinet and Piano, are widely performed with several having been used in doctoral dissertations and master’s thesis recitals at schools of music across the nation. Many of his display works for woodwinds carry dedicatory acceptances by such international artists as Julius Baker, Benny Goodman, Reginald Kell, Artie Shaw, Eugene Rousseau, and most recently the distinguished American recitalist Jerry Hall. While proud of his many accomplishments, publications and honors, his children believe his finest accomplishment was the family he and his wife created. They are strengthened in their loss by the love, integrity and strength he and his wife instilled in each of them and which they share with each other and their own families. He was a member of St. John the Evangelist Catholic Church since 1960. Gene was preceded in death by his wife, Joan L. Smeltzer Saucier; a daughter, Gloria Jean Saucier and a brother, Roland L. Saucier, Jr. He is survived by six daughters, Elizabeth Edmondson, and her husband, Frank of Lake, MS, Linda Holley and her husband, Stephen of Corinth, MS, Marguerite Cook of Starkville, MS, Joni Savage and her husband, Tommy of Hamilton, MS, Susan McNeely and her husband, Ric of Virginia Beach, VA and Paula Gibbs and her husband Dean of Oxford, MS; a son, Gene Allen Saucier, Jr of Huntsville, AL; a brother, Ronald D. Saucier and his wife, Mary Ann of Bossier, LA; 10 grandchildren and 11 great grandchildren. The family is appreciative of all the kind gestures and prayers of his friends and colleagues and ask that, in lieu of flowers, memorial contributions be made to the Gene A. Saucier Excellence in Music Scholarship, U. M. Foundation, P.O. Box 249, University, MS 38677, Attn: Denson Hollis. Dr. Gibson was Emeritus Professor of Music at the University of North Texas where he taught for 36 years. His undergraduate degree was from Oklahoma A & M College, his graduate work at the Eastman School of Music, and his Ph. D. in Musicology from UNT in 1960 with his dissertation, The Woodwind Serenades of Haydn, Mozart, and Beethoven. Before moving to Texas he was Assistant Professor of Music and Director of Bands at the University of Idaho. An avid Amateur Radio Operator (W5AJF), Gibson also taught at the US Navy Radio School while in Moscow, Idaho, and later, toward the end of WW II, at RCA in New York City. A renowned clarinetist, pedagogue, and authority on design of the clarinet, Lee Gibson trained many of today’s outstanding players and teachers.He was the first editor of The Clarinet, journal of the International Clarinet Society, and later served as the Society’s president. Gibson joined the Acoustical Society of America and, combining his research on clarinet tone and pitch with his performing artistry, was sought after as a consultant on clarinet and clarinet reed design and construction. 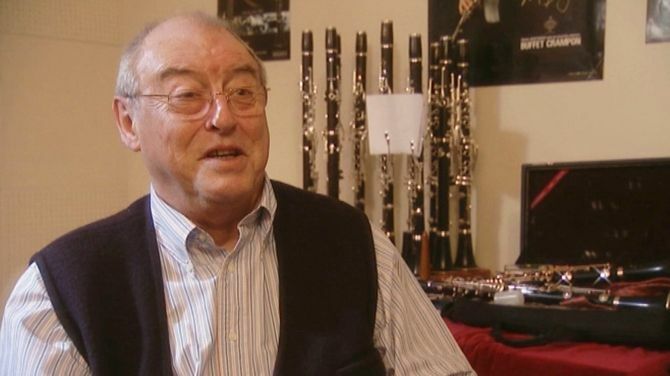 He invented the Vandoren V12 clarinet reed in 1988 during a week-long visit to the company’s factory on France’s Cote d’Azur. The V12 is still popular among clarinetists today. His book, Clarinet Acoustics, was published by Indiana University Press in 1998. It is available today from Amazon or ebay.